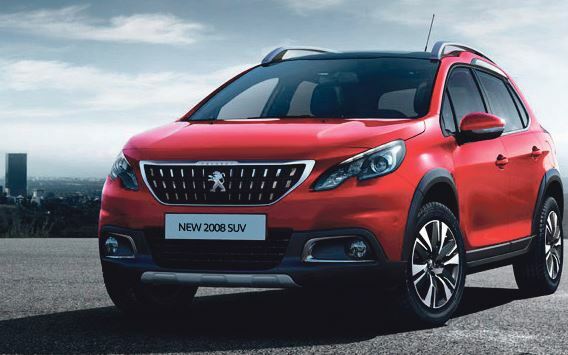 Southern Autos Manukau is proud to introduce the new Peugeot 2008 SUV. Encompassing emphatic style with a sporty look, and complemented with vibrant new paint finishes and innovative technology, this is an SUV built with strength and character. Enjoy life to the fullest in the Peugeot 2008 mini SUV. A vehicle with an identifiable, strong and elegant design. Our new urban crossover is both compact and spacious, making adventures with family and friends as accessible as your daily commute. Experience new driving sensations in the PEUGEOT i-Cockpit®. The compact sports steering wheel offers precise steering and improved manoeuvrability whilst the 7” multifunction colour touch screen puts all the functionality at your fingertips. The heads up instrument panel provides all the driver information and can be viewed without taking your eyes off the road. It all adds up to an intuitive and instinctive driving experience. Designed to produce drivability and performance, the Award Winning PureTech 3-cylinder petrol engine powering the new Peugeot 2008 SUV combines effi ciency with cutting-edge technology resulting in greater driving pleasure with lower running costs. New 2008 SUV also features the 6-speed efficient automatic gearbox which uses quickshift technology, allowing for faster gear changes, and is the new benchmark for driving enjoyment. Spacious and practical, the boot has a low loading height of 60cm and the 1/3-2/3 modular rear seats allow you to convert the boot volume from 410 litres to 1400 litres. Roof bars accentuate the sleek profile of the 2008 Crossover and open up a wealth of storage and carrying options for you. They give you the option of fitting a bicycle or ski carrier onto the roof. You could attach a roof box, either to give you extra storage space or to leave the interior clear and uncluttered. It’s the ideal vehicle for the busy and adventurous. At Southern Autos Manukau, we are committed to making a positive contribution to our customers motoring experience.